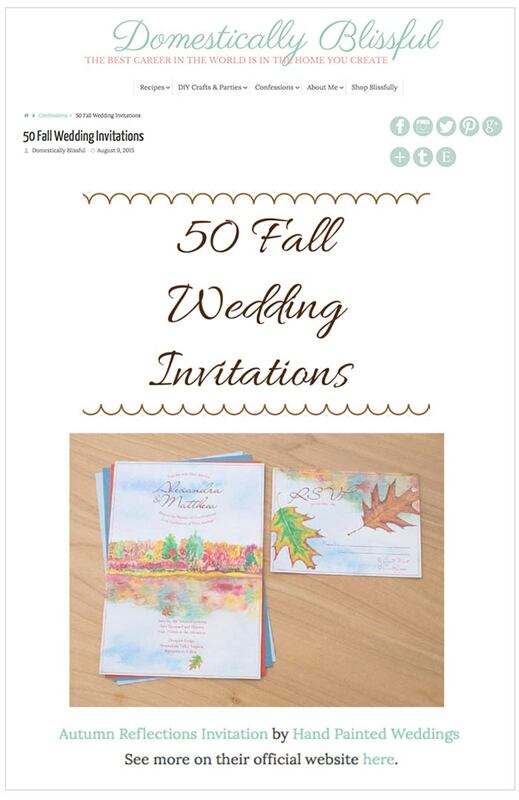 The lovely blog, Domestically Blissful, has picked their top 50 Fall Wedding Invitations for the season, and the Hand-Painted Weddings Autumn Reflections invitation made the list! This is a group of really beautiful invitations, some more subtly fall themed than others, and I’m really happy to be included. Definitely check out the full list on the blog post here.